Wearing a pinafore to school was probably one of the only things I liked about being there, so it's freshing to see the school staple has made an almightly comeback and in beautiful denim form. It was the perfect thing to wear with my new lace up espadrilles which were an unbelievable £18 for a day at Hyde Park with strawberries, pimms and the sun. Such a perfect look Tanya! 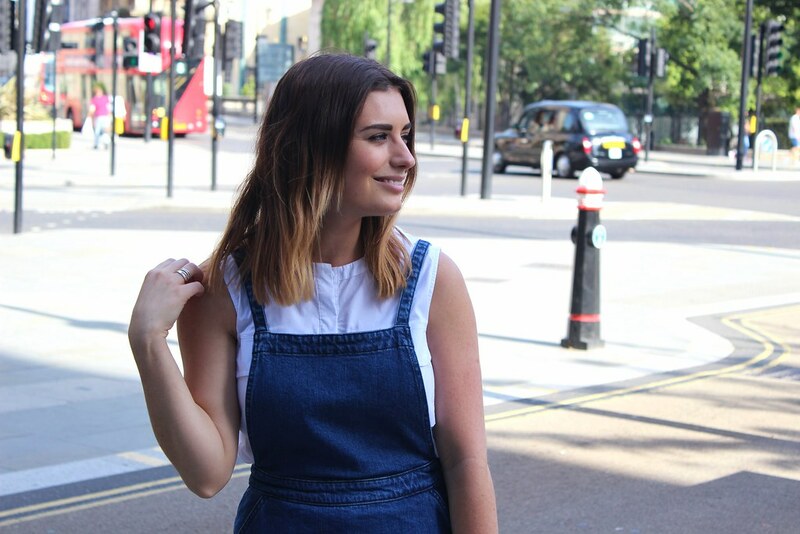 I really must get my hands on a denim pinafore!